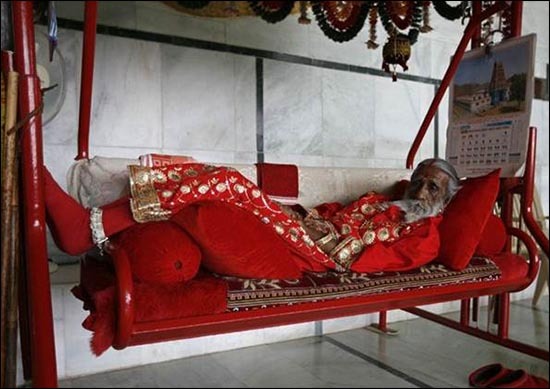 A 82 year old man named Prahlad Jani, who claimed to survive without food and water for 70 years. 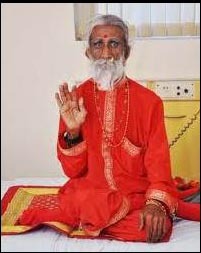 He claimed to have left home at the age of 7 (seven) and lived as a holy man in Rajasthan, India. He believed that he had been sustained by a Goddess who poured an ‘elixir’ through a hole in his palate. 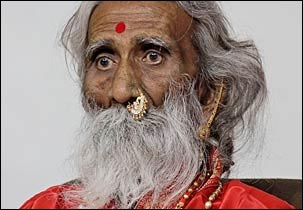 This man was regarded as a ‘breatharian’ who can live on a ‘spiritual life-force’ alone. His claims had also been supported by an Indian doctor who specialized in studies of people who claimed supernatural abilities. Though, he had been dismissed as a ‘village fraud’ by others. 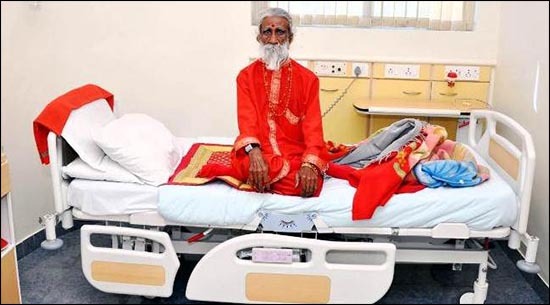 Mr Prahlad Jani was held in isolation in a hospital in Ahemdabad, Gujrat where he was closely monitored by India’s defense research organization. It is the organization which develops drone aircraft, intercontinental ballistic missiles and new types of bombs. The scientists in the organization believed that Mr.Prahlad could teach them to help soldiers survive longer without food, or disaster victims to endure until help arrives. According to Dr G Ilavazhagan, director of the Defence Institute of Physiology & Allied Sciences, if the claims made by this man were verified, it will be a breakthrough in medical science as they’ll then be able to teach people to live longer and survive situations of adversity during natural disasters, high altitude, sea journeys and other natural and human extremities, where there is little or no food and water. When under observation, Mr. Prahlad stood up to the scrutiny and had not eaten or drunk any fluids for six continuous days and hence had not passed urine or stool in that time. He remained fit and had shown no signs of lethargy. In future, doctors had expected to see some muscle wastage, serious dehydration, weight loss and fatigue followed by organ failure. 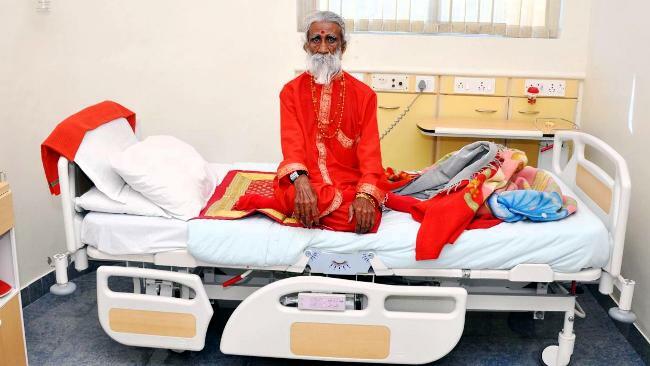 According to Dr. Sudhir Shah, who had examined him in 2003, Mr.Prahlad had gone without food and water for ten days, in which his urine had appeared to be reabsorbed by his body after forming in his bladder. Since his weight had felt only slightly at the end of ten days, doubts had been expressed about his claim. It is common in India for Jains and Hindus to fast up to 8 (eight) days, as part of their religious worship. Facts have that most humans cannot survive without food for 50 days. Although the longest hunger strike recorded is 74 days. How much you earn in comparison with global pay scale by countries?